ARLINGTON, VA: OCTOBER 26, 2011 — PBS announced today that STEVE JOBS – ONE LAST THING has been added to the primetime lineup following the premiere episode of NOVA “The Fabric of the Cosmos.” Through interviews with colleagues and others who knew the creative genius whose innovations transformed the lives of millions, ONE LAST THING provides an inside look at the man and the major influences that helped shape his life and career. Titled as a play on the famous catchphrase used by Jobs at his product launch presentations, STEVE JOBS – ONE LAST THING premieres on Wednesday, November 2, 2011, 10:00-11:00 p.m. ET on PBS (check local listings). NOVA “The Fabric of the Cosmos,” a four-part series that takes viewers to the frontiers of physics with acclaimed author and physicist Brian Greene, debuts at 9:00 p.m ET. “From the vast complexity of time and space to the genius of a man who put technology in the palm of our hands, these extraordinary programs explore the work of two visionaries in science and technology,” said John F. Wilson, Senior Vice President & Chief TV Programming Executive. ONE LAST THING takes an unflinching look at Jobs’s difficult, controlling disposition, and offers unique insights into what made him tick. While there has been near-universal agreement that Steve Jobs was a great innovator in business and technology, ONE LAST THING looks into why he was so great. What were the influences that shaped his character? What drove him from such humble beginnings to the heights of success? Featuring interviews with, among others, Ronald Wayne, co-founder of Apple with Jobs and Steve Wozniak; Ross Perot, who invested in NeXT Computer when Jobs was running out of money; Walt Mossberg, principal technology columnist for The Wall Street Journal, who interviewed Jobs every year from 2003-2010; will.i.am, frontman and producer for The Black Eyed Peas, whose “I Gotta Feeling” currently ranks as the most downloaded iTunes song ever; Dean Hovey, designer of the original mouse for Apple; Robert Cringely, writer and host of the PBS series TRIUMPH OF THE NERDS: THE RISE OF ACCIDENTAL EMPIRES; Robert Palladino, calligraphy professor at Reed College, whose classes Jobs credited with inspiring his typography design for the Mac; and Bill Fernandez, who introduced Jobs and Wozniak in Sunnyvale, where the three hung out in his father’s garage and tinkered with electronics. In his many successful Apple product launches, Jobs developed his own catchphrase to tease his audiences. Appearing to reach the end of a presentation, he would then announce to the expectant crowd: “Oh — one more thing,” before unveiling his latest design achievement. This documentary exploration of the life of one of America’s most successful innovators and entrepreneurs pays homage to his famous presentational skills and his unique talents. 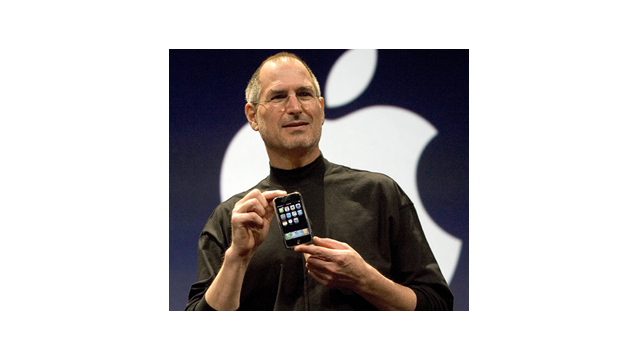 STEVE JOBS – ONE LAST THING is a production of Pioneer Productions for Channel 4 (UK) and PBS. The film is funded by PBS, Channel 4 and Mentorn International. PBS, with its nearly 360 member stations, offers all Americans the opportunity to explore new ideas and new worlds through television and online content. Each month, PBS reaches 124 million people through television and 20 million people online, inviting them to experience the worlds of science, history, nature and public affairs; to hear diverse viewpoints; and to take front row seats to world-class drama and performances. PBS’ broad array of programs has been consistently honored by the industry’s most coveted award competitions. Teachers of children from pre-K through 12th grade turn to PBS for digital content and services that help bring classroom lessons to life. PBS’ premier children’s TV programming and its website, pbskids.org, are parents’ and teachers’ most trusted partners in inspiring and nurturing curiosity and love of learning in children. More information about PBS is available at www.pbs.org, one of the leading dot-org websites on the Internet, or by following PBS on Twitter, Facebook or through our apps for mobile devices. Specific program information and updates for press are available at pbs.org/pressroom or by following PBS Pressroom on Twitter.